Well we found a nice spot to stay in Grafton. It’s called The Gateway Lifestyle Grafton, fancy name and not that many caravan sites as it’s mostly taken up by the lifestyle village. But the sites are nice and roomy and very manicured and not expensive. Today we drove out towards a place called Lawrence around 20 kms away, getting quite close to The Clarence River along the way which is just a massive river system. Just before you get to Lawrence you turn off and follow another smaller river called Sportsman’s creek which then goes into another smaller creek called Woody creek and really there is quite a lot of birdlife all along this river system. Apparently when it floods they get around 70 Brolgas come to visit and numerous Jabirus but there hasn’t been a lot of rain so we weren’t expecting to see those sort of birds. 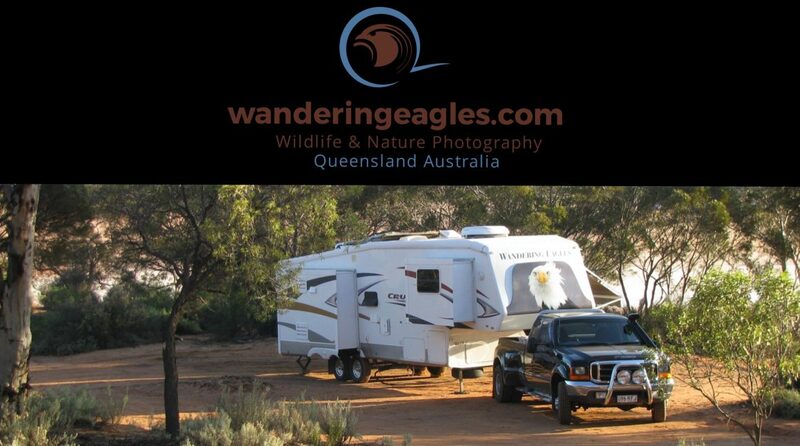 But we did see a Wedge Tailed Eagle and quite a few Whistling Kites. It’s very open farmland around there but lots of big dead trees and trees along the creek. Pretty much all the hollows in the dead trees were taken up by the Lorikeets, they certainly know prime real estate when they see it. We spotted the Restless Flycatchers a few times, their chattering call is fantastic, eventually we spotted the pair building a nest hanging over the creek which we would never have seen if they weren’t there together.There were kingfishers and lots of Superb fairy wrens and numerous other birds, we had a fantastic morning exploring these swamps. We probably could have walked further but it was pretty hot by lunch time around 28 degrees and guess which Wally didn’t take a hat 😳😳 We wouldn’t mind visiting again but will have to see how the weather goes as parts of the track going in would turn to mud with a bit of rain…..which has arrived by the way. We will probably check out Grafton town tomorrow if it’s still raining. This tree may not be living but is still giving life.